A One of a Kind Store! 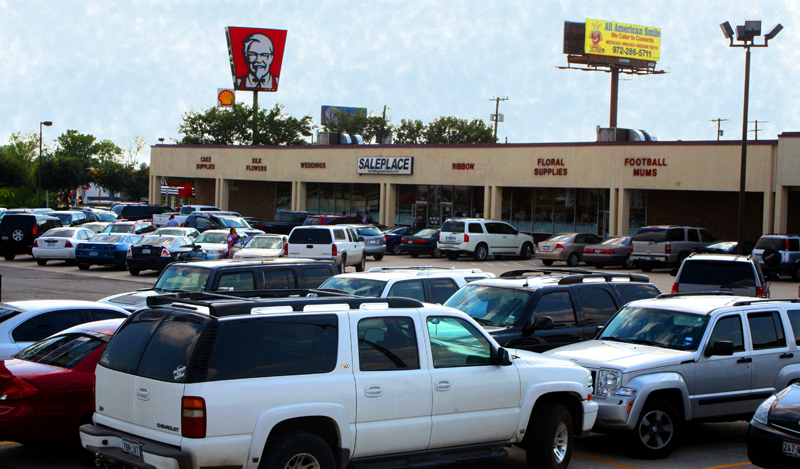 The Saleplace is a family owned and operated retail/wholesale store founded in 1977. What makes this store so unique is the giant selection of merchandise within each of the product lines specialized by this store. 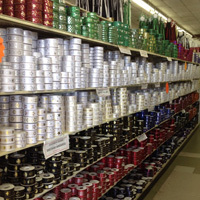 Most craft stores have a small to medium selection of products in various categories. 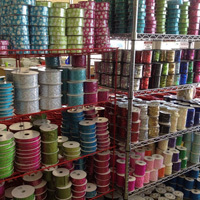 The Saleplace has a giant selection of only a few categories such as homecoming mum supplies, homecoming ribbon, wedding supplies, wedding ribbon, Wilton cake decorating supplies, florist supplies, team spirit products, baby shower and baby mum supplies, party supplies, and silk flowers. The Saleplace is open Monday through Saturday 10am-8pm (All Year) and Closed Sundays (Open 12:00-5:30 on Sundays July-Oct only) and is conveniently located on I-635 at the Elam Rd exit (#1b) in Balch Springs - just south of Mesquite (twenty minutes from downtown Dallas). Come see why so many customers drive hours and even from out of state to shop at this unique one of a kind store. 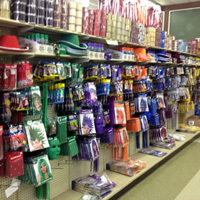 We do not exaggerate when we say we have the absolute largest selection of homecoming mum supplies in the world. No other wholesale or retail operation comes close to the enormous selection you will find at The Saleplace. With over 30 years in business, we have accumulated many sources and unusual products that are great to make your mums and garters unique and special. Visit our store in person to see this one of a kind homecoming superstore. - Bulk Packaging as well as eaches. - Ribbon by the yard as well as by the roll. 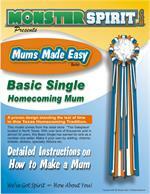 - Largest Selection of Homecoming Mum supplies in the country. - Unique hard to find homecoming mum decor. If you are a regular customer then you know - get your shopping done early to avoid the madhouse crowds after school and on the weekends in late August and September. With our new checkout lane system introduced in 2011, it has made your checkout wait time reduced even though the line may look like a popular ride at the State Fair. The lines do move fast and we usually have 6 registers open during weekends. To be on the safe side come on weekday mornings if possible. Be prepared before making you journey across Texas to save big on Homecoming Supplies. Click here for wholesale pricing information. Homecoming means big money for schools and organizations that want to raise funds by selling mums and garters to the students. Be prepared before making your purchase to insure you are getting the very best price available. Click here for details. We are open Monday - Saturday 10am-8pm and OPEN SUNDAYS (JULY-OCTOBER). We ask that you plan to arrive plenty of time before we close to do your shopping since it takes time to do your shopping - our employees are tired and ready to go home. It is our policy for ALL customers to be out of our store no more than 15 minutes after we close. We do not let customers in our store after store hours so if you are running late consider coming the following day. Due to the seasonal nature of Homecoming Supplies, we do not take returns or exchanges on homecoming products, seasonal products, and team spirit products - no exceptions. Please plan ahead and make sure of your purchases. We want to help our customers the very best we can however during our busy season, unfortunately we are unable to give personal assistance at the level we would often like to. Please understand that we are dealing with thousands of customers and sales and may not have the time to give the personal attention you may expect. We do care about our customers demands and will do our very best to help within our limitations. If you are a cake decorator and live anywhere near the north Texas area then you probably are a regular customer of The Saleplace. We take pride in stocking almost the entire Wilton catalog as well as other brands such as Bakery Crafts, Ateko, Coast, Etc. The Saleplace sells cake boxes and boards by the each as well as bulk. If you are in the trade and pass our wholesale policy, you will be eligible to receive our wholesale pricing on cake products. You will not find a larger selection of Wedding Cake Toppers and Wedding Cake knives and serving sets. The Saleplace also stocks wedding cake separator plates and columns. If you are in the market for a character pan then The Saleplace is the place for you. We stock hundreds of character pans including all the newest trends. Stop by our location at 3641 Shepherd Ln and see why our customers drive hundreds of miles for the best selection available.